See more objects with the tag birds, theater, garden, amusement. See more objects with the color darkkhaki dimgrey grey silver grey or see all the colors for this object. This is a Print. 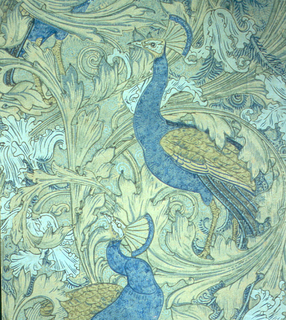 It is dated 1877–1935 and we acquired it in 1938. Its medium is hand-colored lithograph on paper mounted on cardboard. It is a part of the Drawings, Prints, and Graphic Design department. 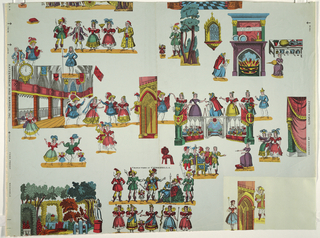 This print is part of a series of designs for toy theaters by Benjamin Pollock. Popular amusements in the 19th century, toy theaters allowed children to re-enact plays at home, and Pollock’s prints often provided scenic backdrops and colorful characters. 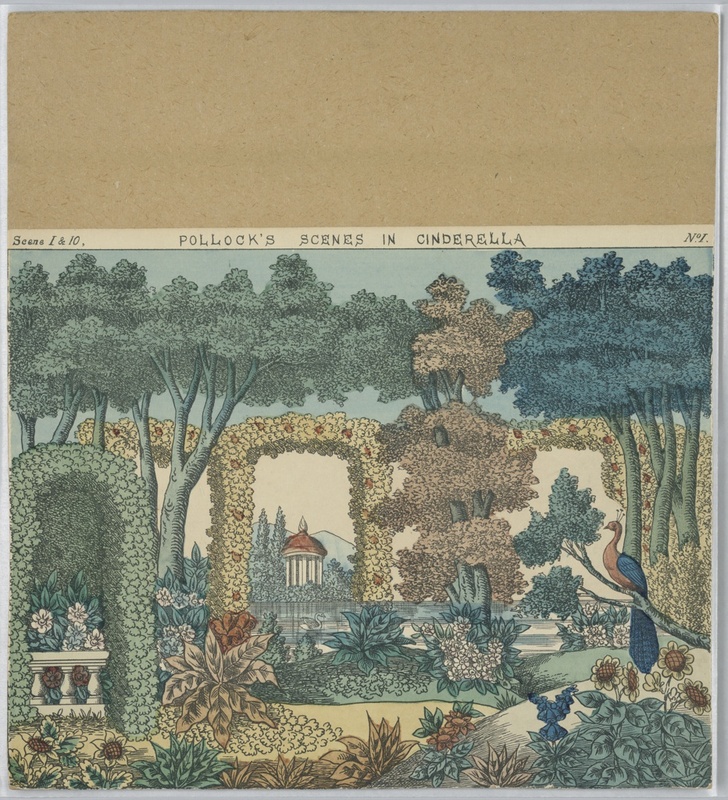 Karasz used this print and others from Pollock’s Scenes in Cinderella in her design for the Cinderella wallpaper on view nearby. This object was catalogued by Julie Pastor. It is credited Gift of W. H. Solle. pen and brown ink, black chalk on off-white laid paper. block-printed on machine made paper. 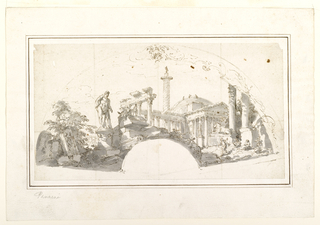 Gift of Mrs. Samuel P. Hunt. pen and brown ink, brush and gray wash, graphite on cream laid paper, lined. 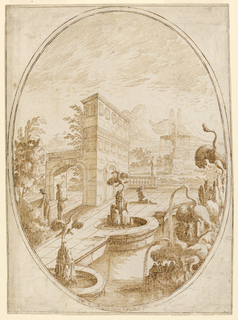 Printed in black, upper margin: Scene I & 10. POLLOCK's SCENES IN CINDERELLA No. I.